Xiaomi held a global supplier conference today, where CEO Lei Jun revealed the company's target for shipped smartphones this year – and it's between 80 - 100 million! Just for reference – the official data for 2014 says that Xiaomi shipped 65 million units during that year – no doubt thanks to the huge success of the Mi 3 in India and its lovely Mi 4 successor. Does a jump from 65 million to 100 million sales sound a bit far-fetched? 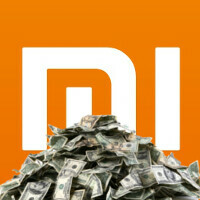 Maybe, but let's not forget that Xiaomi has more than once stated that its willing to push out of the Asian markets and on to global distribution (you can still buy the Mi phones online, it's just that they are not easily discoverable by, or advertised to the general public) – it'd most probably aim to do so with the upcoming Xiaomi Mi Note Pro flagship. Earlier today, we also heard that the company may be planning to launch a couple of new devices to commemorate its 5th birthday – those being a smartwatch and a midrange handset, which we've heard about as "code name Ferrari". So, if the Mi manages to come out with a stylish and beautiful timepiece at half the price of its western competitors (as it usually likes to do), we have no doubt that the watch would have the potential to become a best-seller in its category. This isn't the first time that Mr. Jun has made such bold statements, however, the fact that he said it to Xiaomi's suppliers means that he means business... literally. Thanks for the tip, Jacob! If you're not Chinese, you have to climb and fight your way up to their hunger games online selling strategy. This Company should stop copying Apple,Samsung and others. The way they copy is kinda shameless since they copy not only other company's designs but also their "Name" as well. Not to mention their UI is just pure copycat of iOS in Android form. Their devices' names are also pathetic, "MiPad,Mi Note". And yet they said they're not copying others, blablabla. Huehuehue!! The only good thing they have is their cheap devices with decent specs. Anyways they already have enough resources to innovate themselves and should stop copying others ffs. So who doesn't copy who? It's been the same statement of PA commenters for the past 2 years. Let it go man, nobody's original in the production line now. Let them sue each other if they want to. Seriously everyone copies; Samsung, Apple, everyone. It happen in every industries. Look at LCD TV, toaster, Refridgator and every single piece of item remind me of their competitors. Only Apple make a big issue because they have the money to sue. Other manufacturer has to compete with their competitor thru good innovative feature and constant renewal of design. 95 million for China, 4.8 million for India, 200000 for the rest of the world. They don't need worldwide expansion, they already found the unicorn's tail right in their own backyard. Cmon bring your phones to the USA! Why the hate for flash sales? Even if you have the desire to buy one, it all comes to depending on luck in case of flash sales. Has anyone actually tried these phones? Are they really any good? I HATE these Chinese manufacturers so much, stealing all the market share from the main players in the industry. Honestly I wish they would just disappear. Guys, somebody hates competition here. Can we bash people for being a monopoly fanboy? It's hardly competition when they're confined to emerging markets and bring ZERO innovation to the sector.